Suspects caught on camera allegedly using stolen credit card | Crime Stoppers of the Lowcountry: 554-1111 | 1-888-CRIME-SC | Anonymous tips earn cash rewards with Crime Stoppers of the Lowcountry. GOOSE CREEK, SC (WCSC) - Goose Creek police are trying to identify two suspects they believe used a stolen credit card earlier this month. 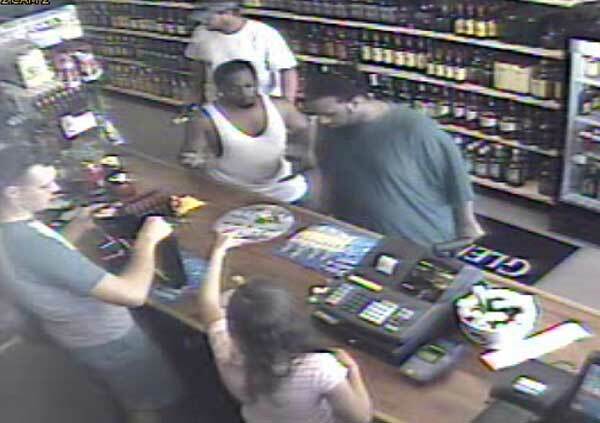 According to police, two males used a stolen credit card to purchase items from the Creekville Spirits in Goose Creek on June 18. Police say the suspects made several illegal transactions including purchases at the Hot Spot, Wal-Mart and Creekville Spirits. The suspects racked up about $272 total in fraudulent transactions. If anyone has any information on these individuals please contact Investigator Fogle at (843) 863-5200 ext. 334.